A mini ranch or farm! 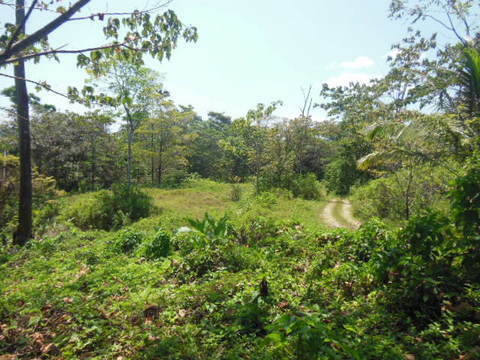 This 2-1/2 hectares property is located in the popular Dolphin Bay area known as Bocatorito. There is a canal that leads to the property. There are no mangroves, just a clear view to the back of the property. The neighbor is a cattle rancher so currently the cows keep the grass down. This is a good place to start a small farm or just stretch out on the cleared land. There are oranges, grapefruits, cashews and other fruit bearing trees all over the property. There are also several good home building sites. It is a 30-minute boat ride to Bocas Town, where you can stop and watch the dolphin play. This place is just far enough away for privacy. Come see for yourself what you can do with a very nice piece of land.